MONDAY, Feb. 27, 2017 (HealthDay News) -- Doctors' offices capably shouldered the burden of millions of new Medicaid patients gaining access to health insurance through the Affordable Care Act, a new study reveals. "We found a dramatic increase in primary care offices' ability to take in these newly insured patients," said study senior author Dr. Karin Rhodes. For the study, researchers posed as patients seeking appointments. They found that availability for Medicaid-covered appointments with primary care physicians increased by 5.4 percentage points between 2012 and 2016, while remaining essentially stable for those with private insurance. Medicaid is the publicly funded insurance program for the poor. "There wasn't a crisis in primary care overload that significantly reduced access for either people who were privately insured or who had Medicaid," said Rhodes. She is vice president of care management design and evaluation at Northwell Health Solutions in Great Neck, N.Y. Essentially, doctors' offices found the time to see more Medicaid patients, despite earlier concerns that they would be overwhelmed by the newly insured seeking treatment, the study authors said. "It suggests that physician offices must be reorganizing themselves to handle the inflow of new patients," said lead researcher Daniel Polsky. He's executive director of the University of Pennsylvania School of Medicine's Institute of Health Economics. The researchers said the findings undermine one argument touted by Republicans as they consider revoking the Medicaid expansion that occurred as part of the Affordable Care Act, also called Obamacare. "The evidence we've generated does not support making major adjustments to the current Medicaid program," Polsky said. "We can increase the number of people that can access care through Medicaid without seeing any decline in the number of doctors willing to see them." For their study, Polsky and his colleagues staffed a phone bank with people pretending to be new patients seeking appointments. The phone staff called primary care practices in 10 states -- Arkansas, Georgia, Illinois, Iowa, Massachusetts, Montana, New Jersey, Oregon, Pennsylvania and Texas. The callers randomly represented themselves as patients having either Medicaid or private insurance coverage. The calls came in two waves, in 2012 and again in 2016, so researchers could assess how well doctors' offices had adapted as millions of newly covered patients sought care. It appeared the offices adapted well. About 63 percent of doctors were willing to take on a new Medicaid patient in 2016 across all the states, compared with less than 58 percent in 2012, the researchers reported. At the same time, people with private insurance experienced no significant change in appointment availability, the study found. People appeared to have to wait slightly longer to see a doctor. Short waits -- one week or less --decreased by almost 7 percent for Medicaid patients between 2012 and 2016, and by just over 4 percentage points for people with private insurance. At the same time, long waits -- more than 30 days -- increased by around 3 percent for people with private insurance. But on average, waits were not onerous -- about an extra day of waiting overall, and two extra wait days in states that expanded Medicaid, Rhodes said. Polsky interpreted the extended wait times as a positive, showing that offices became adept at scheduling further out on the calendar to accommodate more patients. "Most of the increase was a move from very short waits to not-so-long waits," Polsky said. "That's another way you can make room for more people." But, Dr. Robert Glatter, a spokesman for the American College of Emergency Physicians, said even this small expansion in wait times may be too much for some patients. 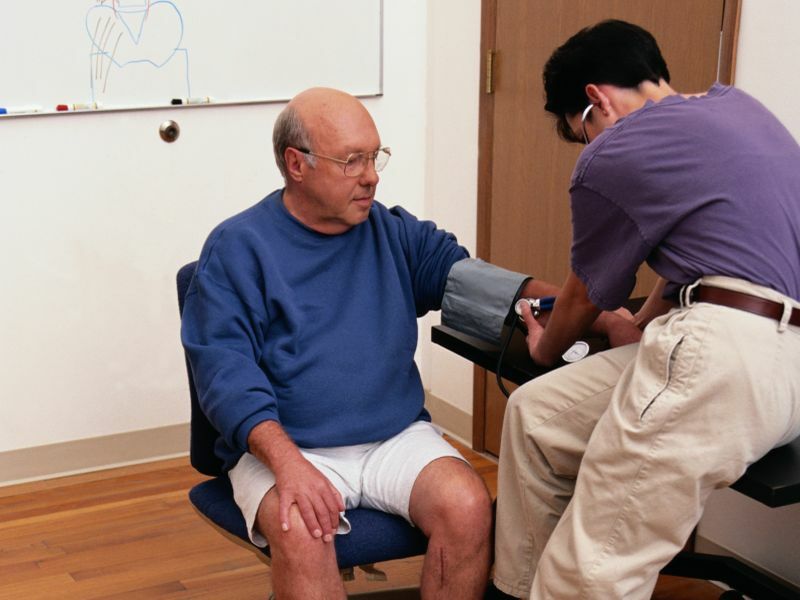 "A subset of such new patients seeking care may not be able to wait additional time when booking appointments for hypertension and accompanying medical concerns, which include heart attack, stroke, and kidney-related complications," Glatter said. "In these cases, the emergency department becomes the only safe and feasible alternative," he said. Polsky believes doctors' offices were able to absorb all the new Medicaid patients through a series of innovations. Many offices now allow nurse practitioners and physician assistants to see patients with easily treated health problems. This frees up doctors to handle the tougher cases and expand the number of people who can be seen in a day, Polsky said. The study results were published Feb. 27 in the journal JAMA Internal Medicine.